We know just how exciting buying a new car can be and when you choose to purchase from Mackay Isuzu UTE, you can rest assured that we’ll help find the perfect car for you and your lifestyle! 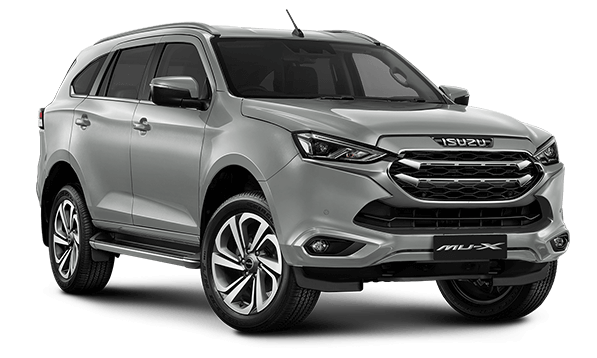 We boast a huge range of new Isuzu UTE vehicles including 4x2 and 4x4 D-Max & MU-X SUV’s to help make choosing the right car easy. If you’re looking for a Used Car, we’ve got that covered too! We have the largest range of Used Cars available in Mackay. At Mackay Isuzu UTE we can take care of everything for you in an easy, enjoyable way to get you on the road faster! Talk to us about Finance, Insurance, Service, Genuine Accessories & Parts and quality Paint & Panel Repairs for your vehicle. When you buy a car from Mackay Isuzu UTE, our friendship doesn’t end there, we openly welcome you into the Mackay Isuzu UTE Family! As a local business we pride ourselves on being an active part of the community that we operate in, supporting a wide range of sporting groups, community and charity events. At Mackay Isuzu UTE our most important goal is making sure our guests receive the best experience possible while providing access to the biggest range of vehicles and great prices. Our whole team are here to assist you - come in and see us today! 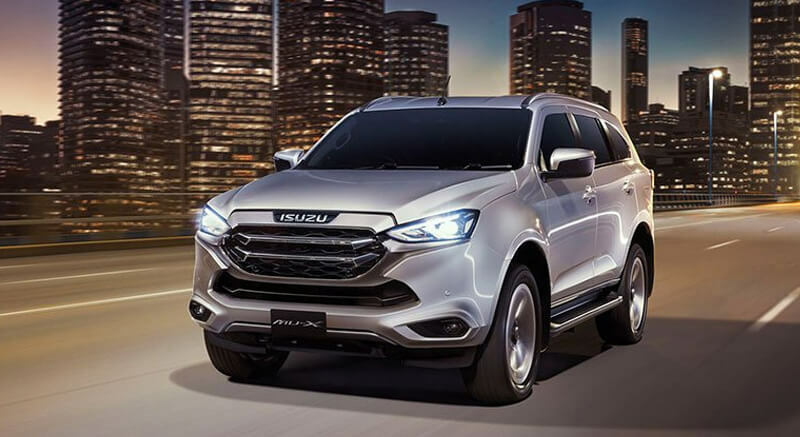 D-MAX and MU-X have been designed for superior fuel economy, with serious towing ability and sleek exterior and interior design. Keep both your wallet and your vehicle happy with Isuzu UTE Service Plus from Mackay Isuzu UTE. Service Plus is our comprehensive care package. Need assistance or tips for your D-MAX or MU-X? 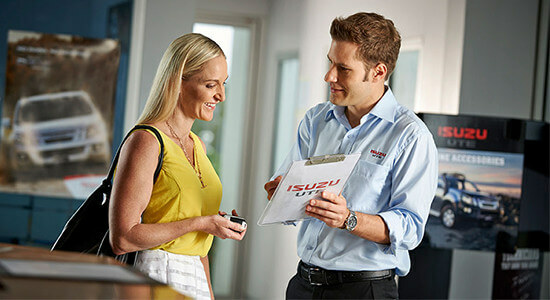 Get in touch with the friendly and professional team from Mackay Isuzu UTE for the right advice. Why buy from Mackay Isuzu UTE? Mackay Isuzu UTE we understand that purchasing a car is a big decision. Our team of experienced staff help make this process easy and enjoyable and look forward to helping find the perfect vehicle for you. We offer competitive prices, finance and outstanding customer service and we won’t sell you a car and then forget about you! Everyone who buys a car from Mackay Isuzu UTE is welcomed into our family. For the complete automotive solution, let us look after servicing your new car too. We offer an easy and hassle free service experience from a personal Service Advisor who meets you at your car for a fast drop off to coffee biscuits. Have a chat to our team today! In 2015 we were awarded the Number 1 Isuzu UTE Dealer in Australia so you can be assured to receive excellent service and advice on choosing the perfect car. Conveniently located just across the Forgan Bridge, on 27 Barnes Creek Road, Mackay, Qld 4740, close to the central highlands including Moranbah, Nebo and Sarina. We look forward to welcoming you soon.